Wellness: Ever Slipped or Changed Directions Suddenly? You are at:Home»Wellness»Wellness Wednesday: Ever Slipped or Changed Directions Suddenly? Wellness Wednesday: Ever Slipped or Changed Directions Suddenly? Loudoun County, Va. — Do you ever find yourself limping through the last few aisles of the grocery store? Or maybe you pass up a golf trip with friends for fear of having to quit before the 18th hole? Do your first few steps out of bed in the morning cause you to grimace in discomfort? 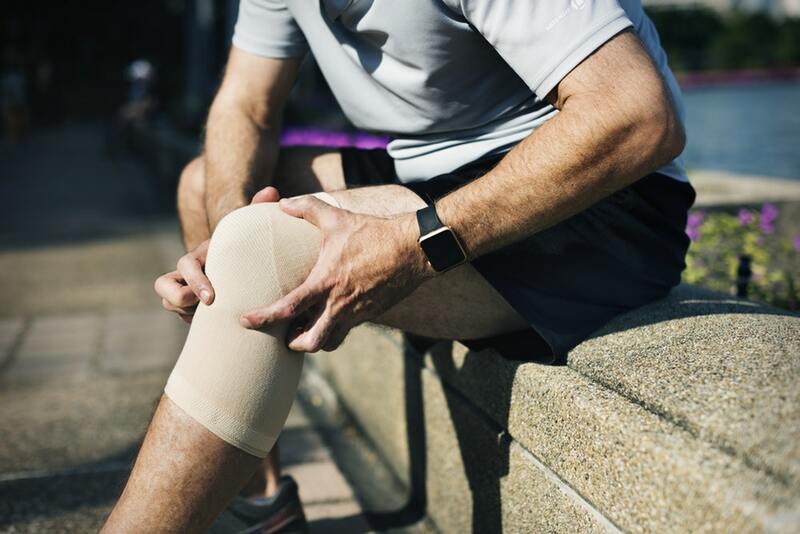 Knee pain can affect the lives of people of all ages, inhibiting both routine daily function and the ability to exercise. Knee pain can also develop as a result of wear and tear, possibly related to arthritis or cartilage degradation in the joint. Finally, it could be referred from another part of the body. For example, pain behind the knee (and entire leg) can actually be a result of a nerve injury to the lumbar spine. Symptoms from knee pain can reveal themselves in many different forms. Meniscal injuries often create pain in the shape of a horseshoe beneath the knee along with “catching” during activity. Injuries involving the ligaments in the knee joint may cause a combination of weakness, general pain and instability. Arthritic changes often cause stiffness and a dull achy feeling in the knee. Nerve injuries can cause changes in sensation along with a severe shooting and burning pain. Whatever the cause, the commonality among all varieties of knee pain is a loss of function and a negative impact on one’s life. So what can you do about your knee pain to stop it and keep it from progressing? Rule of thumb, if you are experiencing knee pain, it is imperative to address it; do not ignore it! Over time, knee problems will affect your gait or walking pattern, ultimately leading to pain in the feet, hips or lower back. Furthermore, knee pain can lead to a reduction in activity levels and, with that, a decrease in overall health and wellness. Physical therapy is a very effective and conservative treatment method for any knee problem whether it’s a injury or nagging pain that’s been there for a few days or a few years. Physical therapists like myself offer a mix of soft tissue work, strengthening and stretching that, often times, can completely alleviate knee pain without prescription medication or surgical intervention. NOTE FROM OUR SPONSOR: If you or someone you may know is suffering from knee pain, call Loudoun Sports Therapy Center at 703-450-4300, and let us help you overcome this debilitating condition!